Since the tender age of 15, Liam has been cooking professionally but, before then, he made many a mess and masterpiece in his parents’ kitchen. He has always felt confident and at ease in any culinary setting. Personally driven to enjoy, expand and evolve, from the beginning Liam has pushed himself to work in the most desirable locations with the best ingredients. Under such stellar tutelage, he has honed his skills into his own creations, to induce – with taste – a sense of comfort as well as excitement and nostalgia, with food rich in flavour and innovation to showcase the almost contradictory ideals of home cooking with a grandiose gourmet flare. Beginning his career in Toronto, he longed to be closer to the ocean and mountains, closer to those regions which produce the delicious ingredients. After working under an award-winning chef in Jasper, he moved on to Whistler for a season and then returned to Toronto to work with famed chef Marc Thuet of Conviction Kitchen and Thuet Restaurants before finally settling on the west coast of Vancouver Island. 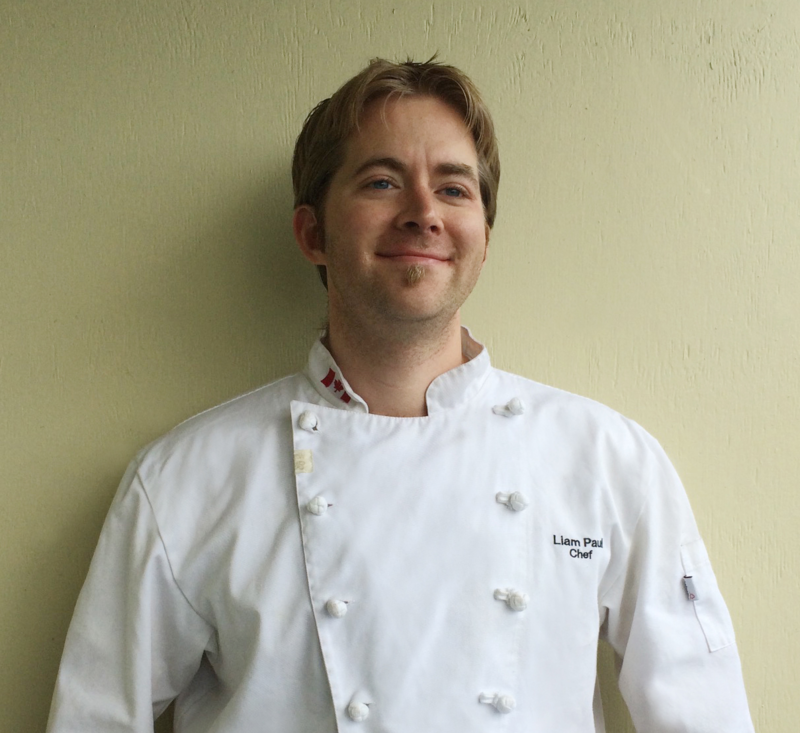 As Pastry Chef at the renowned Clayoquot Wilderness Resort in Bedwell Sound for two seasons, and then having helmed the kitchen at Long Beach Lodge Resort in Tofino, BC for three years, where he built the resort’s restaurant reputation to become third in Canada by Conde Naste international travel magazine. With an added season at the TLH Heli Skiing at the isolated Tyax Wilderness Resort, Liam is no stranger to producing amazing high quality food in remote and stunning settings. After a short stint in Northern California, exploring, eating and staging his way through Sonoma, Nappa, San Francisco, Silicone Valley and Santa Cruz, Liam returned to Canada to his home and native land to explore new ideas and areas. Liam is easy going but is passionate about food. He is equally enthusiastic about his other loves, the arts and theatre and he holds a very special place in his heart for music. He plays piano and guitar, and sings and composes. Yet another of Liam’s passions is surfing, and it is no wonder Liam feels so at home chasing waves and catching fish. With his food, Liam aims to nourish, satisfy and inspire his diners and, always studying and researching, he keeps an open ear and mind for their desires and needs.